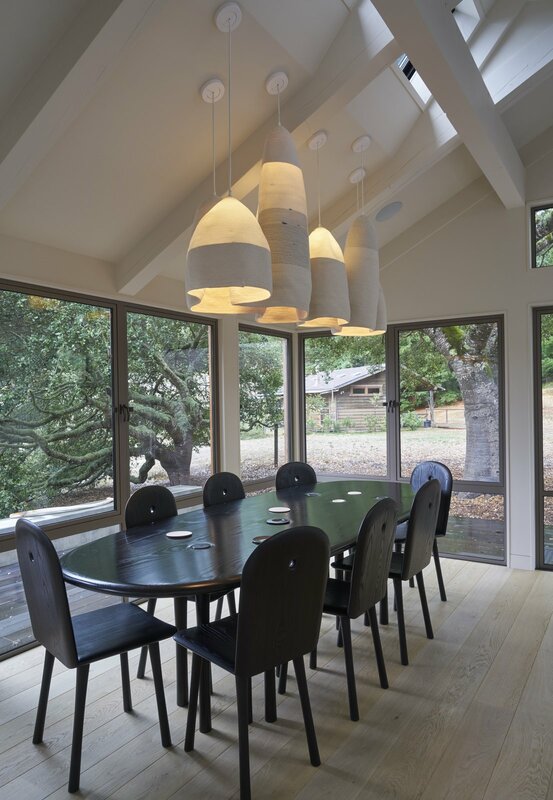 A pendant by Doug Johnston, represented by Patrick Parrish, hangs over a custom dining table by Christopher Kurtz. “Working with [Kurtz] was a privilege and beautiful experience,” says the homeowner. “He sent us a video of a stream with eddies in it, and I thought that was so appropriate: you look out at the meadow and the forest, and the lights are kind of like mountains.” The oval shape encourages everyone sitting around it to engage in one conversation.